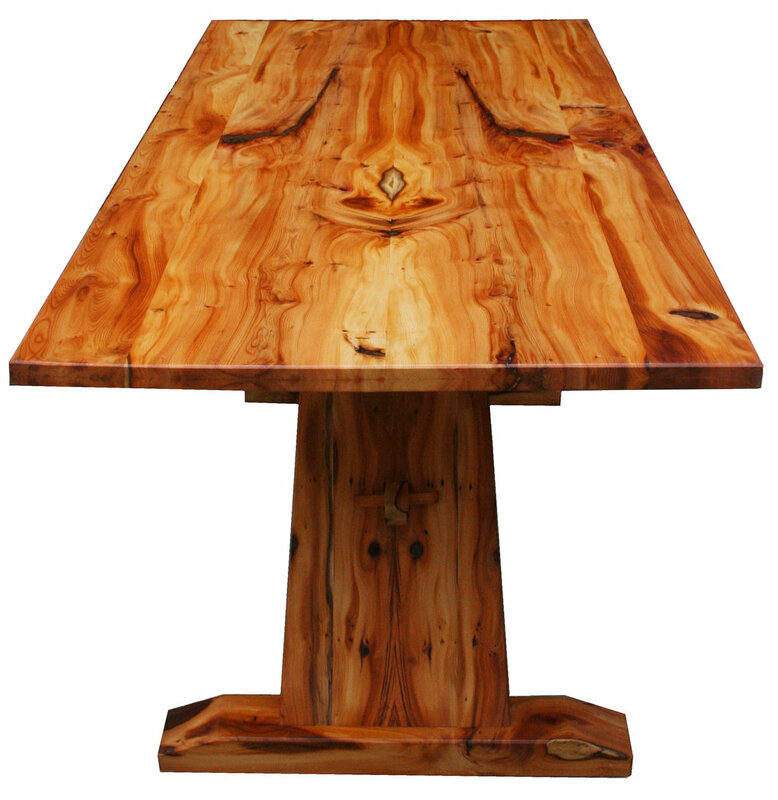 This dining table was made from a beautiful piece of solid yew. 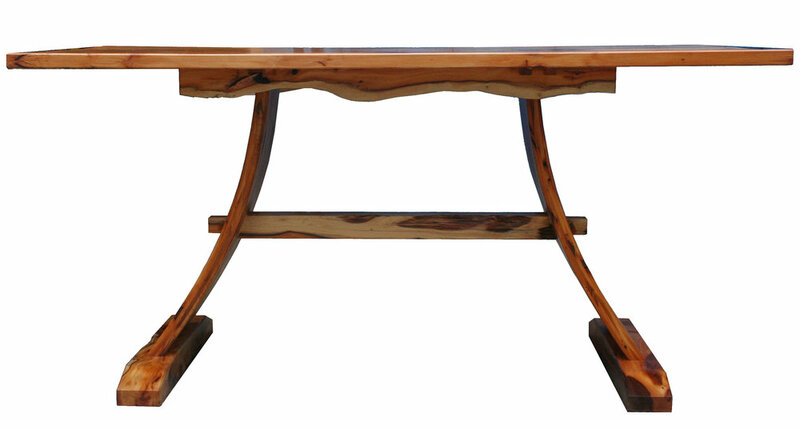 The timber was book matched throughout the table to form a spectacular and unique piece. Some of the natural, or 'wayney' edges of the timber were retained in the undercarriage.